Yumm yumm crunch munch.. 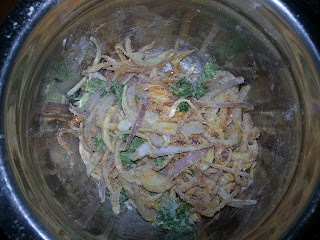 I love crispy onion pakodas. I never knew these could be made at home till I saw my mother in law make them. She makes excellent onion pakodas and paalak (spinach) pakodas. There are 2 easy tips to make very crispy onion pakodas. First is to add rice flour and not just besan (gram flour) and the second is not to use any water. 1. 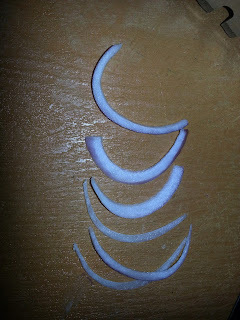 Take the sliced onions and separate the layers. 2. Put the onions in a mixing bowl. Add the rest of the ingredients except the frying oil. 3. Mix well and keep it aside for 15-20 minutes. 4. Do not add any water. Not even a drop. 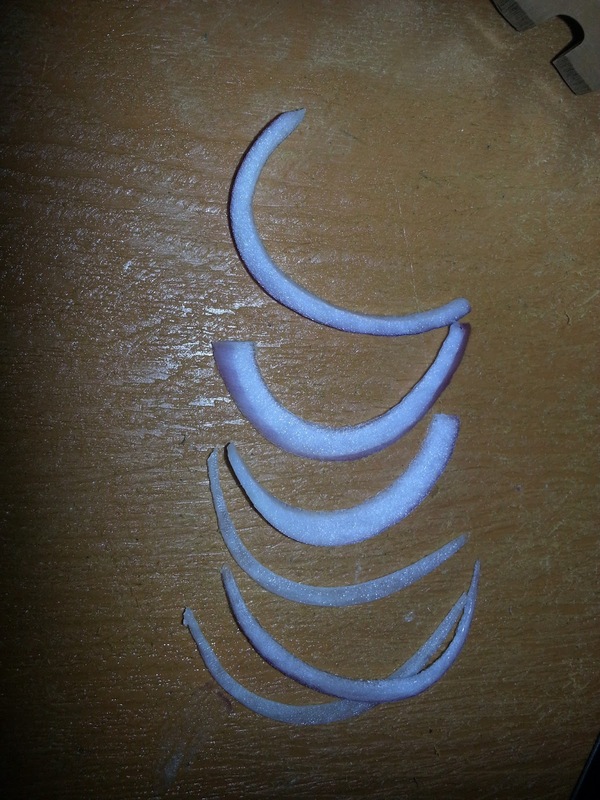 Onion and salt will release moisture which is enough to bind the ingredients together. 5. After the rest time, bind the ingredients well with your hand. 6. Deep fry in oil till nice and brown by dropping small portions of the mixture using a spoon or with your hand. 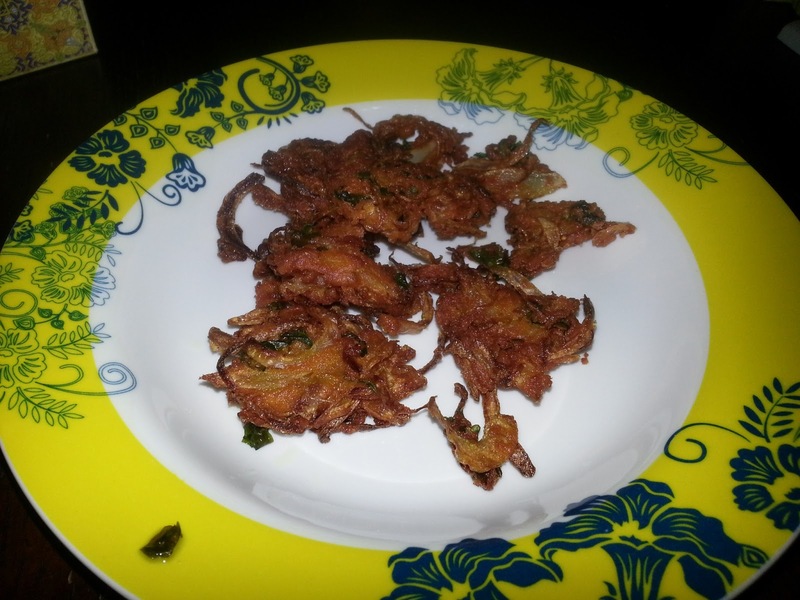 Enjoy crispy onion pakodas with tea or on its own with ketchup or mint chutney. You can even eat this with daal chawal.